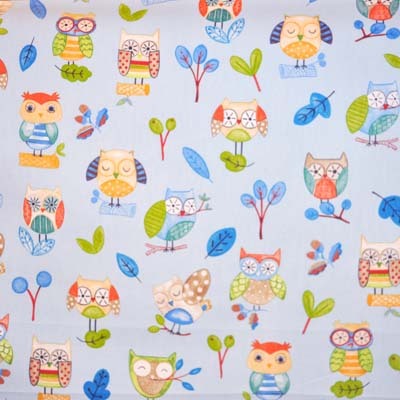 Ollie owl animal fabric in watercolour. Small size owls in blue, green and orange on a pale blue colour background. 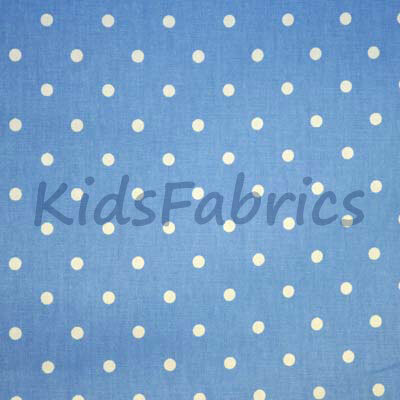 Suitable nursery furnishing fabric for curtains, blinds, cushions and bed throws.